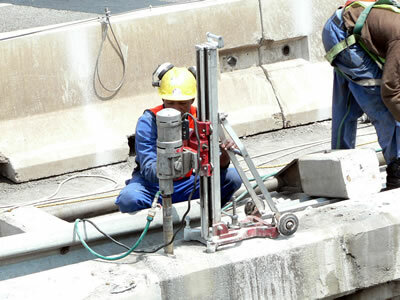 Wet drilling for reinforced concrete. 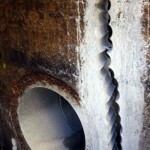 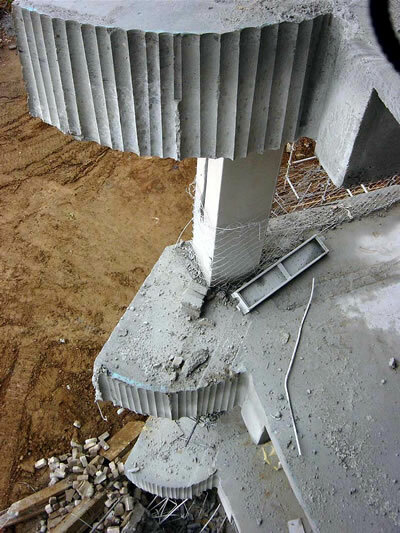 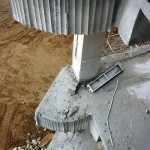 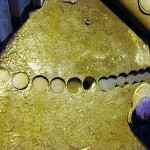 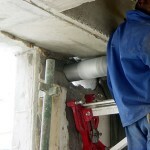 Using diamond tipped core barrels from 12mm – 600mm in diameter drilling through brick , asphalt and heavily reinforced concrete for normal openings, i.e. 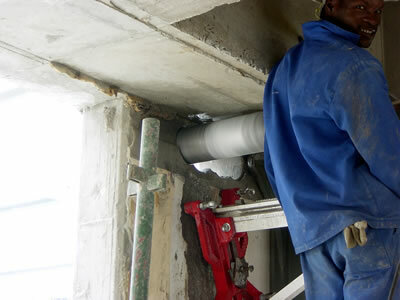 plumbing, piping, cabling, etc. 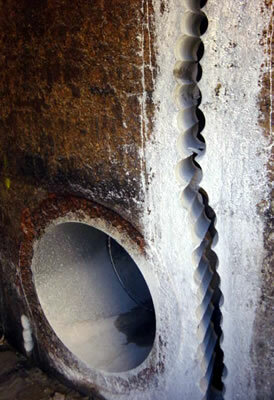 The stitch drilling method is used when drilling is required for openings, larger than normal diameters, square box openings for example ducting, removing blocks, etc. 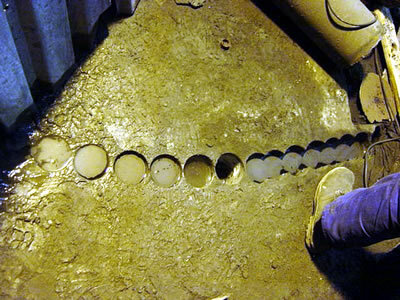 We have successfully developed a continuous core recovery drilling system to drill up to 15 meter depths at various diameters through heavily reinforced concrete and rock. 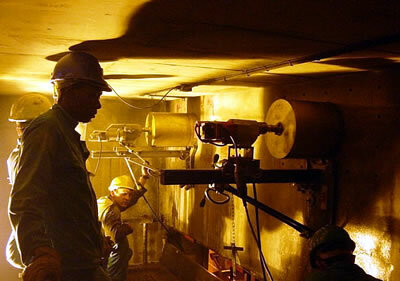 Various types of core drilling machines are used, i.e. 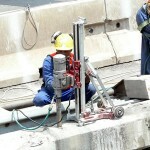 hand held electrical or hydraulic drills, as well as rig-mounted electrical and hydraulic core drill motors.